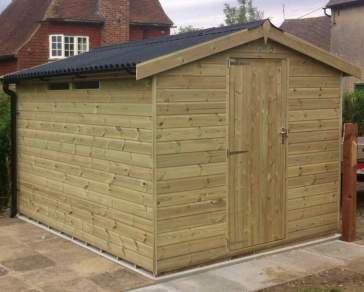 Here at Ace Sheds we manufacture an extensive range of 9x5 sheds in different styles and designs. 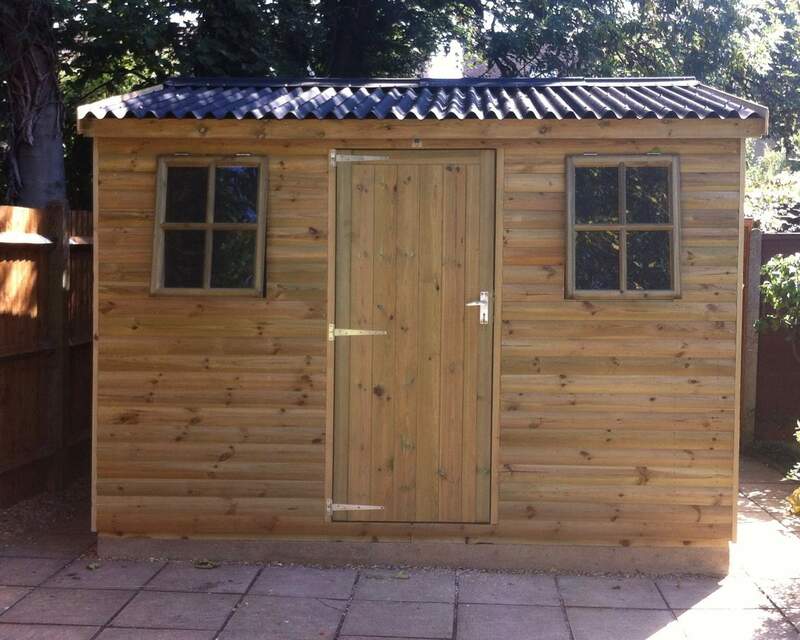 Each of our wooden outdoor buildings are completely customisable ensuring the functionality of your shed is to your preferences and requirements. 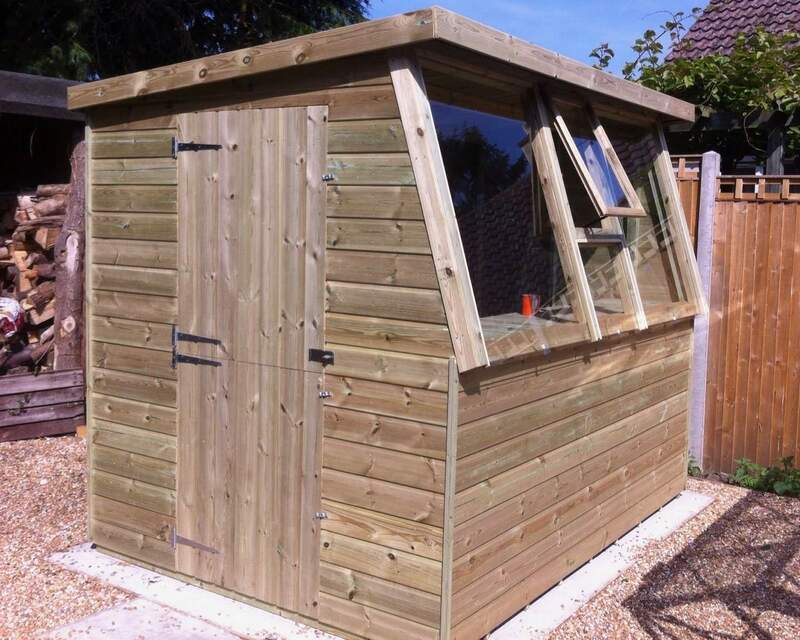 Using 100% pressure treated timber, sourced from reliable and reputable UK and European sources, we craft your shed right here in the UK. 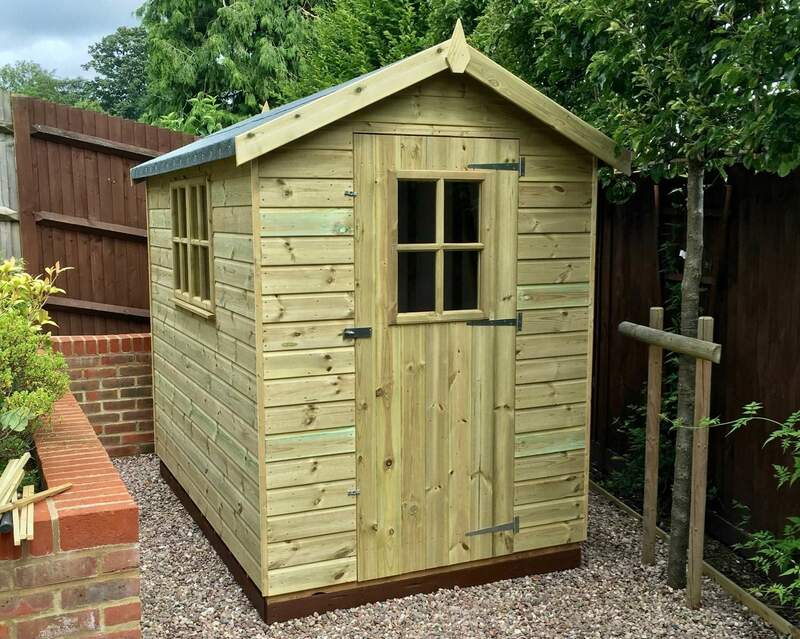 Whether you’re in need of a spacious storage solution, a playhouse for the children or a relaxing haven, rest assured your quality 9 x 5 garden shed will accommodate your needs. We founded Ace Sheds more than 30 years ago with a commitment and aim to offer premium quality sheds, unrivaled customer service, and one-of-a-kind customisation options. 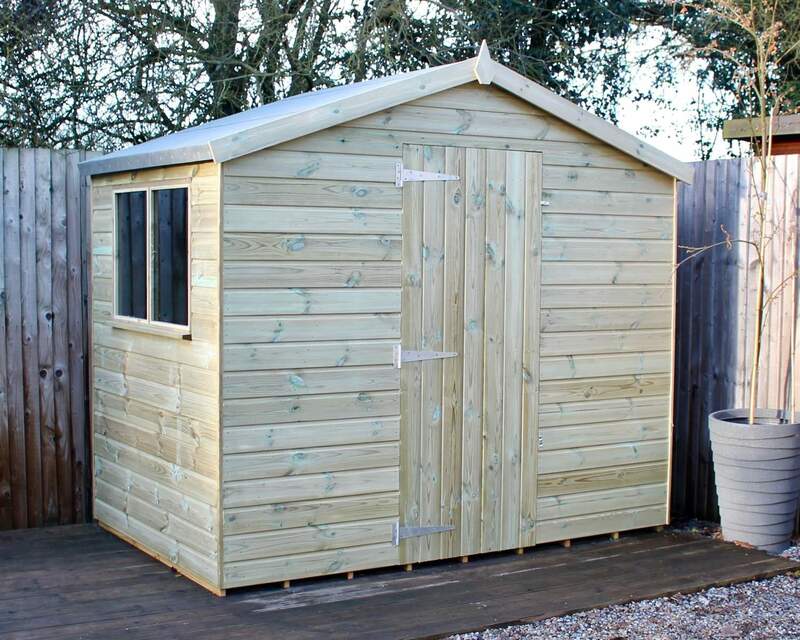 Since our birth, we have grown leaps and bounds, becoming a reputable and leading shed manufacturer and supplier in the UK. Our commitment to deliver and go above and beyond has been recognised by our valued customers who have rated us Excellent on Trustpilot. 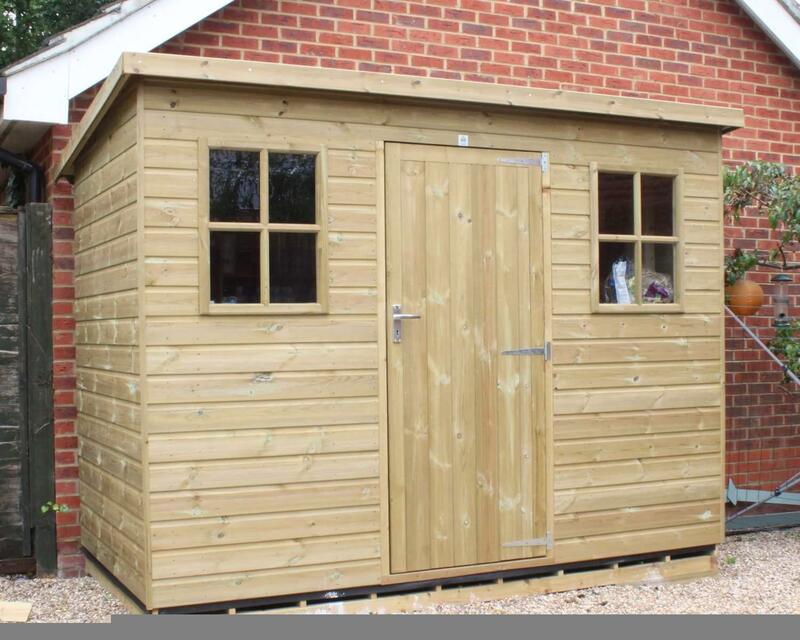 We are proud to offer UK-made wooden sheds, handcrafted right here in the heart of Kent. Our redwood timber, sourced from reputable UK and European suppliers has been 100% pressure treated to prevent rot and decay. What’s more, our pressure treatment process also ensures for optimum durability and longevity. It is guaranteed your garden building will look great year after year, regardless of the unpredictable British weather. 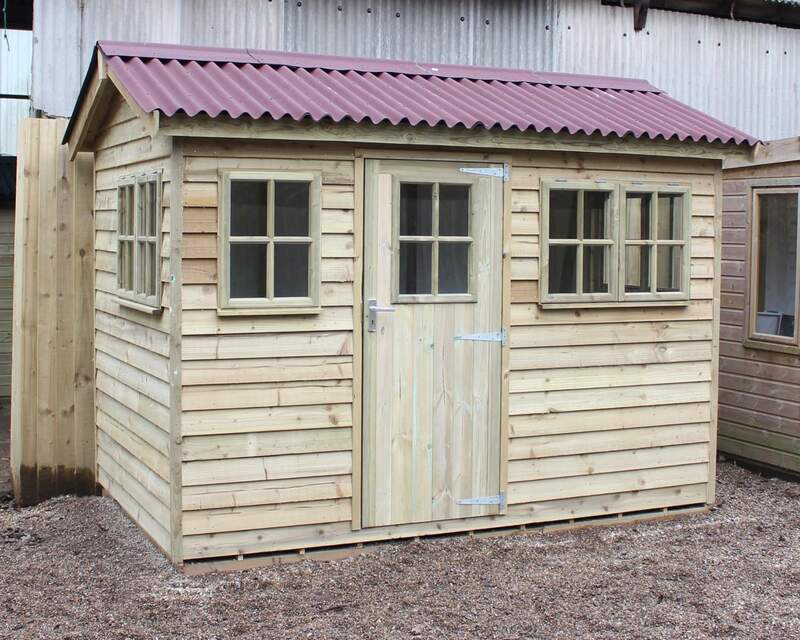 Using attention-to-detail, fine craftsmanship, care, and pride, our experienced craftsmen work through a meticulous process to ensure your timber shed meets premium standards. 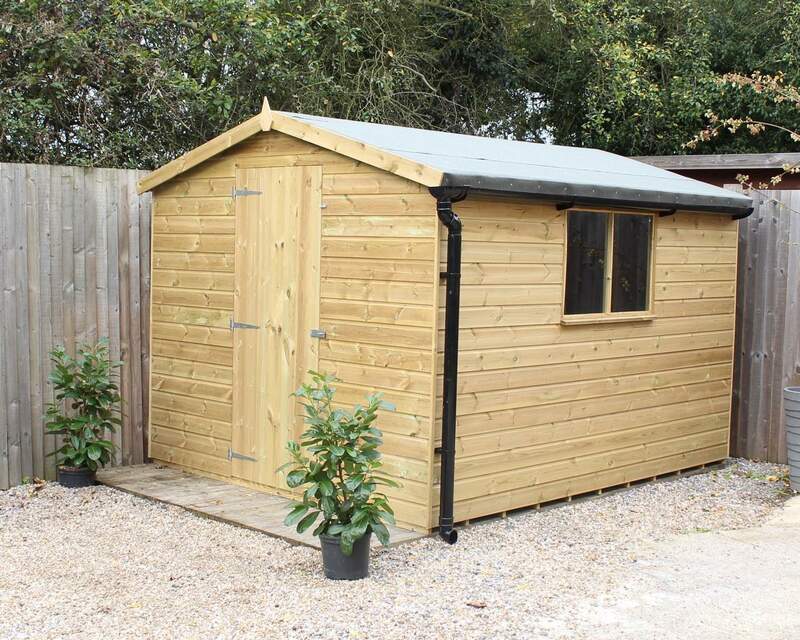 We recognise that a quality outbuilding can be a costly investment, hence why we go through rigorous processes and frequent quality checks to ensure your shed is nothing short of excellent. 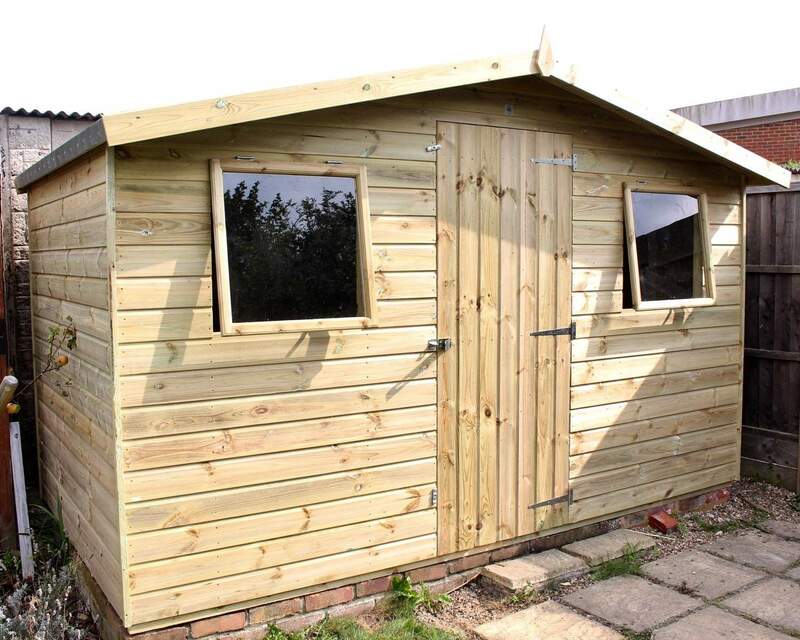 9 x 5 garden sheds offer plenty of space for a plethora of purposes or activities; whether it be a home gym, garden office, storage solution or children’s adventure house, our customisation process will ensure a shed right for you. 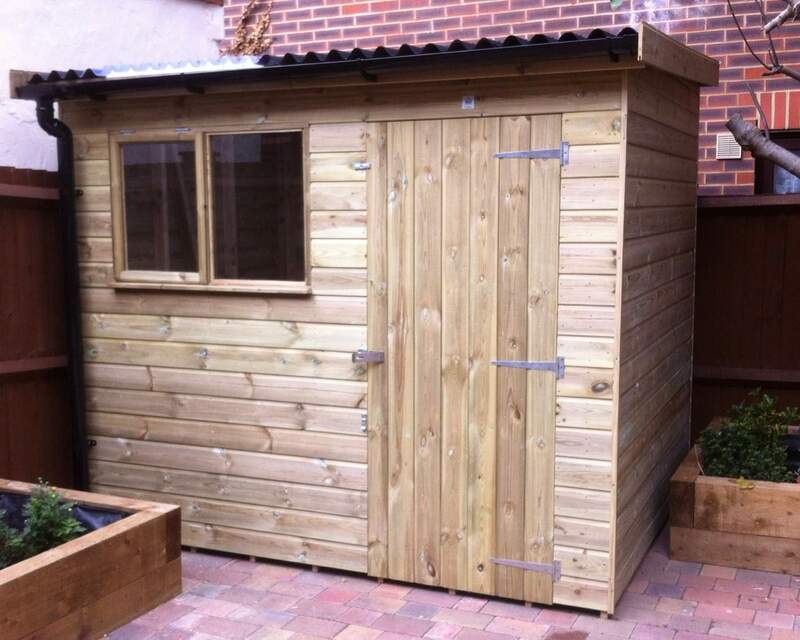 Our simple customisation process means you can get your hands on a completely bespoke garden shed. 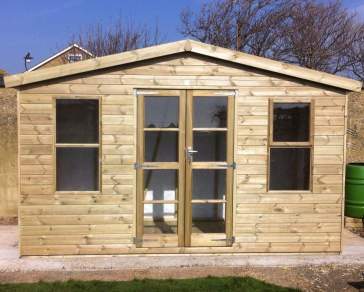 So, whether you’re looking to make alterations to the window type, door position, cladding and framing thickness and/or roof felt - our process allows you to design the shed of your needs. In addition to our bespoke service, we also offer unrivaled customer service. What we mean by this is FREE delivery and installation. If you’re based in Kent and surrounding areas you could be eligible for free delivery - check out our delivery page, enter your postcode and find out your results! 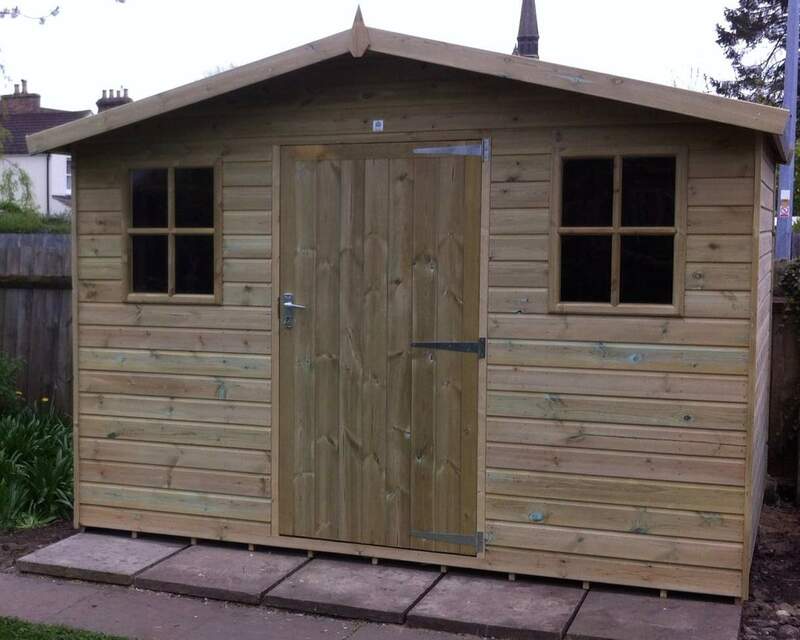 What’s more, we also offer free installation with each of our sheds. 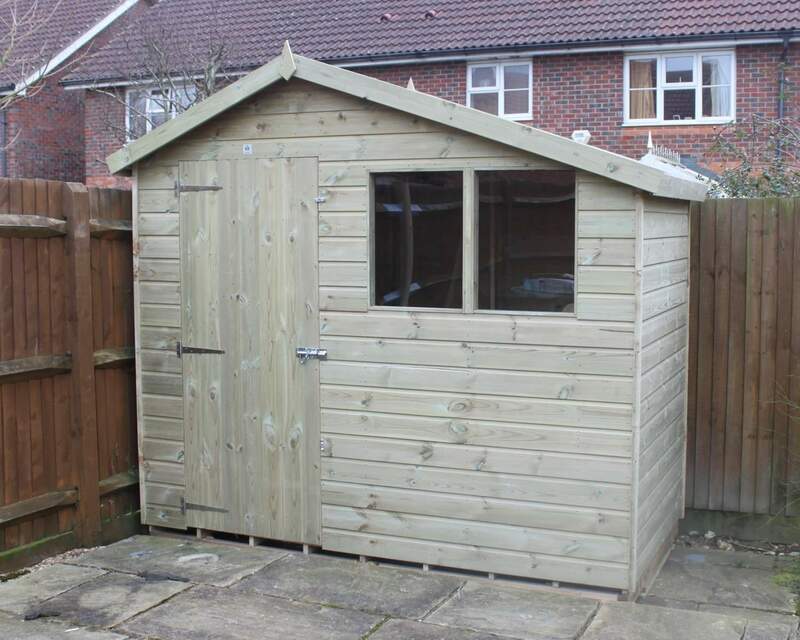 We’ll take the hard work off your hands and ensure your garden shed is correctly erected to enhance the longevity of your timber building. 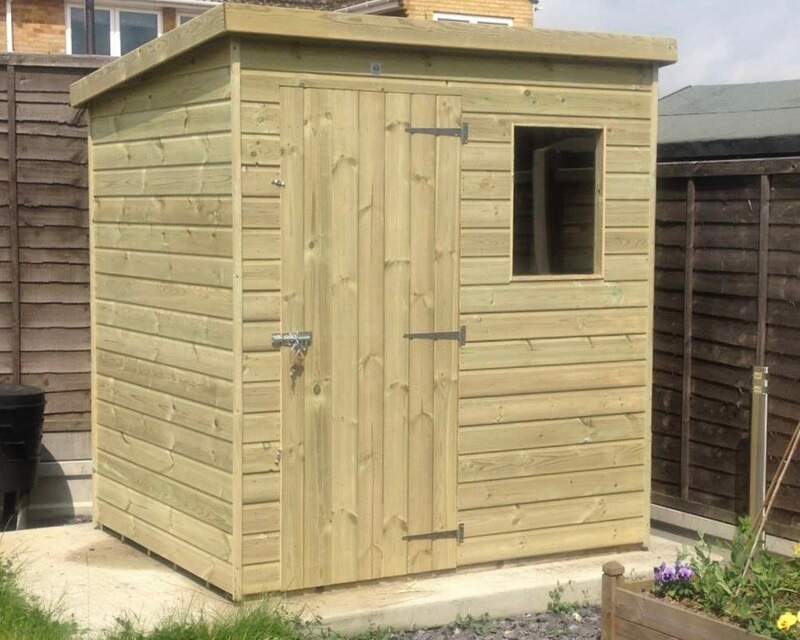 However, if you’re a DIY expert and would like to have a go at erecting your own garden shed, we’ll be more than happy to deliver on the date of your choice. We understand making a decision over a big investment can be difficult, that’s why we are on hand to offer help and advice when needed. Please get in touch on 01633 822042 or contact us via our online contact form, and one of our team members will be available to help. 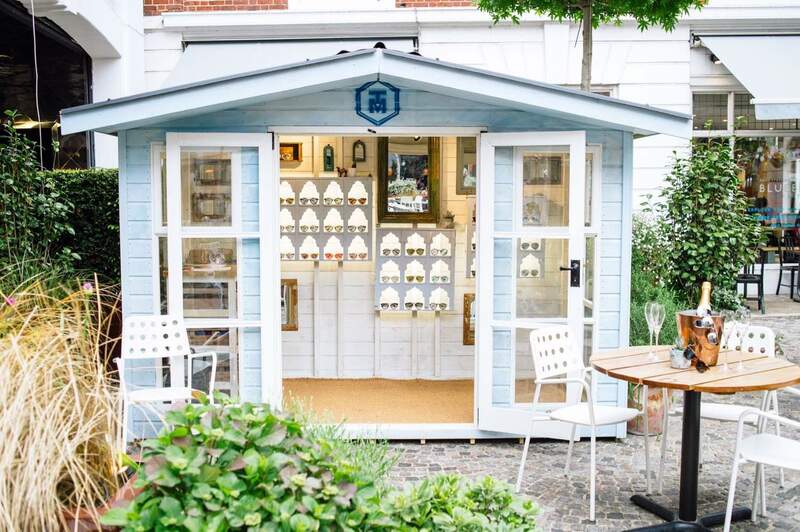 Alternatively, if you would like to see some of our sheds constructed, please do not hesitate to pop into our show-site or explore our customer gallery, please ring prior to your visit during the winter months or check our contact page for opening times.